Welcome to the Exhibitor Service Center, your one-stop resource for purchasing and servicing your Powertrain Expo 2019 booth! 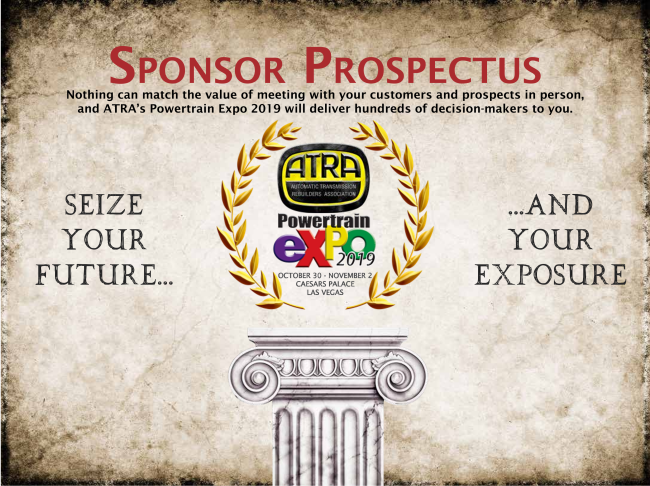 If you sell to the Powertrain Industry, YOU CANNOT AFFORD TO MISS ATRA’s Powertrain Expo 2019! ATRA’s Powertrain Expo 2019 show is attracting seasoned industry buyers and professionals from every facet of the industry. Find out more reasons why YOU need to exhibit. For information on sponsorship and marketing opportunities…get the recognition you deserve! Let the industry know you’ll be there! 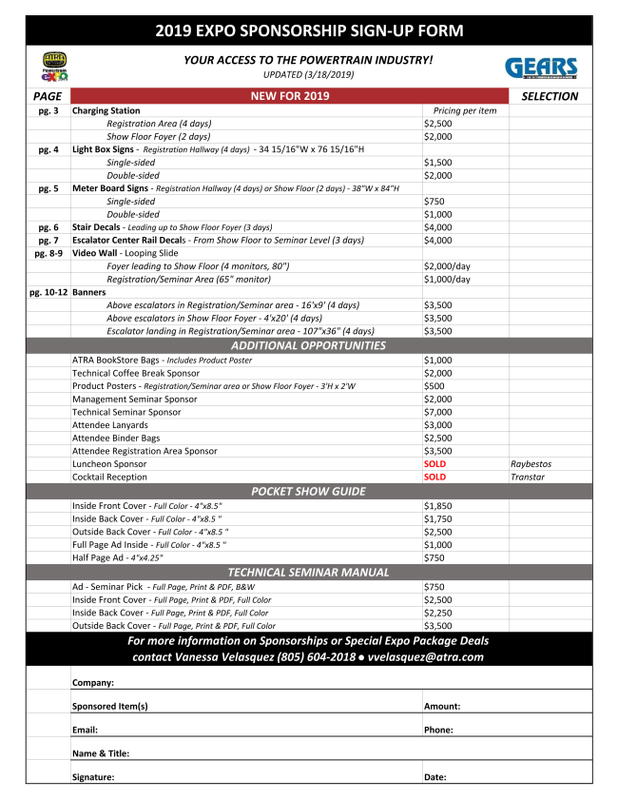 Your company name and website link is included with your exhibition booth cost! ATRA has contracted with GES – a leading Event and Exhibition Services company – to assist you with all your exhibition needs. All exhibitors will receive by email an Exhibitor Decorators Kit ordering link from GES Services approximately 45 days before the Expo show.